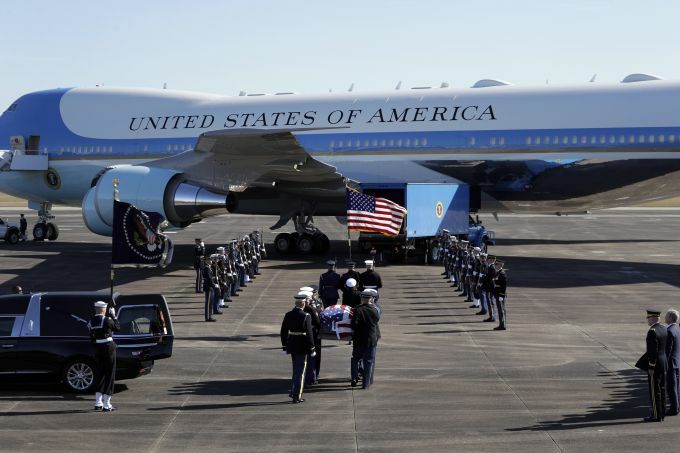 Houston: The flag-draped casket of former President George H.W. Bush is carried by a joint services military honor guard to Special Air Mission 41 at Ellington Field during a departure ceremony Monday, Dec. 3, 2018, in Houston. 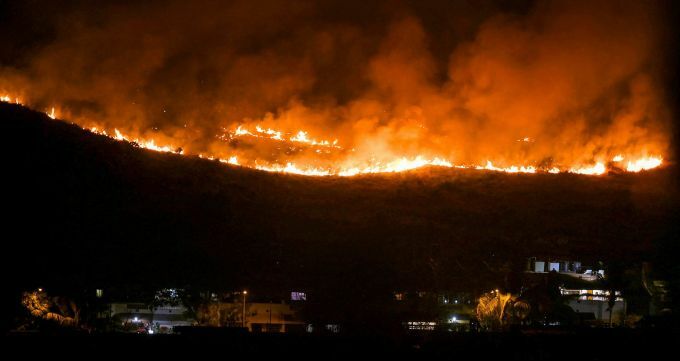 Mumbai: A huge fire ablaze entire mountain range near Film City road at Goregaon in Mumbai on Monday, Dec. 3 2018. 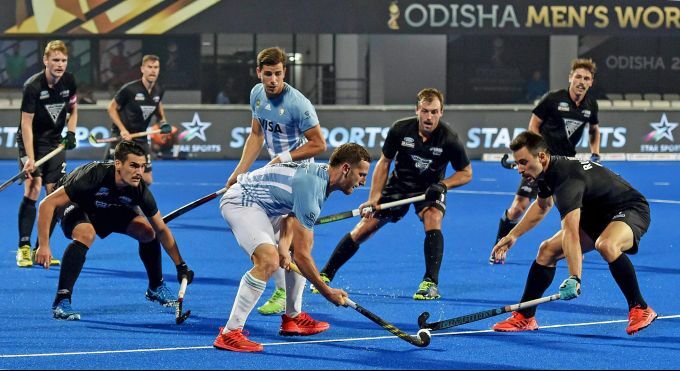 Bhubaneswar: Lucas Vila (in blue) of Argentina in action during a match against New Zealand at Men's Hockey World Cup 2018, in Bhubaneswar, Monday, Dec. 03, 2018. 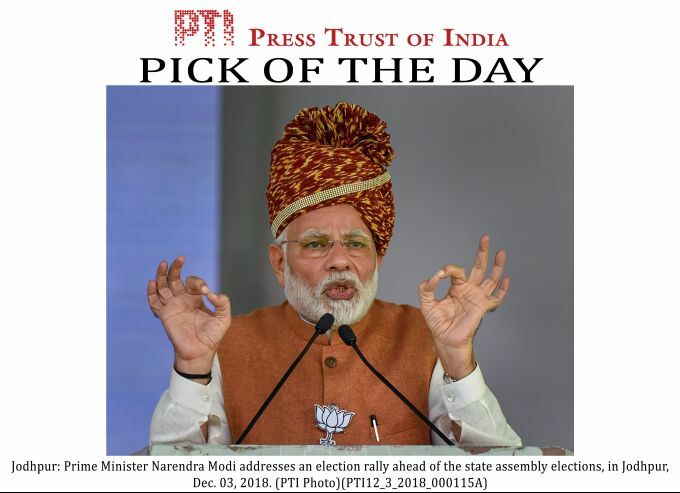 EDS PLS TAKE NOTE OF THIS PTI PICK OF THE DAY:::::::: Jodhpur: Prime Minister Narendra Modi addresses an election rally ahead of the state assembly elections, in Jodhpur, Dec. 03, 2018. Pune: Bollywood Actress Tapsee Pannu during a promotional event, in Pune, Monday, Dec. 03, 2018. 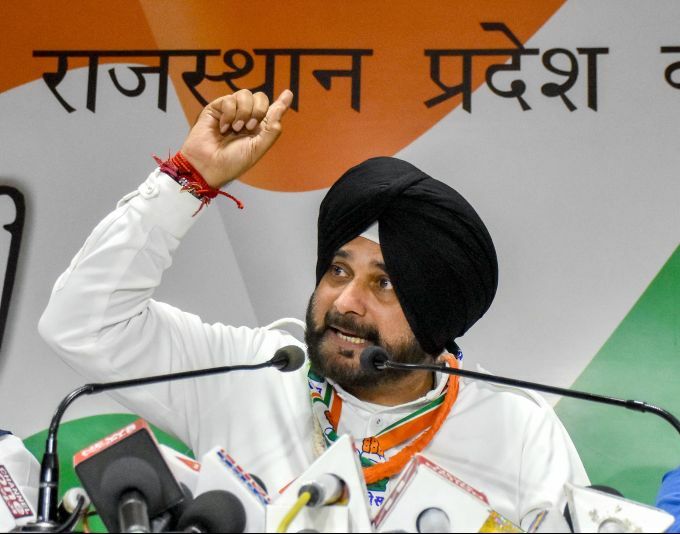 Jaipur: Punjab Cabinet Minister Navjot Singh Sidhu addresses a press conference at Party office, in Jaipur, Monday, Dec. 03, 2018.